Whilst the white van man might be the poster boy for the tradesman in the public imagination, nothing says builder quite like a dropside or tipper. Of course, if you’re in the business of regularly carrying loose material like soil, screed or sand then they’re a mandatory requirement, and with the likes of the Isuzu Grafter Green all you need to do is open the tailgate, press a couple of buttons and you’re ready to work. The Grafter has actually been on these shores since 1993 and, with features like its cab over engine access, has the distinctive DNA of a truck running through its design. It is, in fact, the kind of heavy duty vehicle that looks ready for a war zone, but, with its deliberately narrower chassis, is nimble enough to navigate the crowded towns and cities that are the natural hunting grounds of the small builder. In the intervening quarter of a decade since that debut the commercial vehicle sector has been transformed, with the demands of cleaner powertrains, fuel efficiency and sustainability driving billions in investment in advanced diesel powered vehicles. Isuzu is a master of a technology that has powered the modern world, with a pedigree that stretches back to 1916, and today stands as one of the world’s largest manufacturers of diesel engines – a knowledge bank which puts it at the forefront of the development of the next generation of environmentally friendlier solutions. Previously, for instance, the Grafter featured a 3.0 litre engine with a 120PS. Whilst owners praised the high levels of torque, efficiencies could clearly be made, and the present model is now powered by a 1.9 litre engine that still manages to deliver an increase in power to 125PS, despite the smaller size. As well as that, in order to satisfy the demands of Euro 6 emissions standards, one of the most recent advancements in commercial vehicles has been the introduction of a selective catalytic reduction system (SCR) in the form of AdBlue. 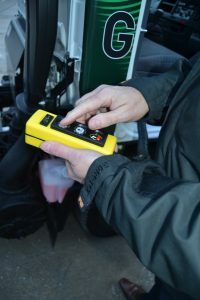 Buy a new van and you will need to adjust to the regime of refuelling not just the vehicle but also the AdBlue tank, which typically has a range of around 5,000 – 6,000 miles. Thanks to the Grafter’s Lean NOx Trap, however, this vehicle avoids the complexity of an AdBlue system whilst still remaining Euro 6 compliant. Add to that a new 6-speed manual gearbox, replacing a 5-speed ‘dogleg’ unit on the old model, and both ride quality and fuel efficiency have been improved. Although the Grafter will always feel more like a truck than some of the tippers and dropsides derived from the most popular panel vans, we can confirm that a new independent front suspension has made for a smoother experience on the road, whilst in-cab noise suppression measures equally make for a quieter life. In addition, those unaccustomed to driving vehicles in this class will no doubt welcome the high driving position, complemented by blind spot-reducing and vision enhancing deep cut side windows. On the subject of that gearbox, whilst it is certainly the case that it is slicker in changing than some of the predecessors on Isuzu’s flagship light truck, it should be noted that it is not quite in the configuration that UK drivers might expect. As a legacy of its Japanese origins, reverse is actually positioned where you might instinctively search for first, and is certainly something that purchasers will have to become accustomed to in usage. 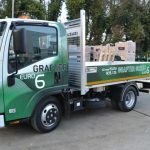 The business end of a tipper or dropside is that load bed and, in order to increase payload capacity, our 3.5T Isuzu Grafter Green N35.125(T) has been manufactured with a lighter chassis – over a 100kg less than its predecessor, in fact. 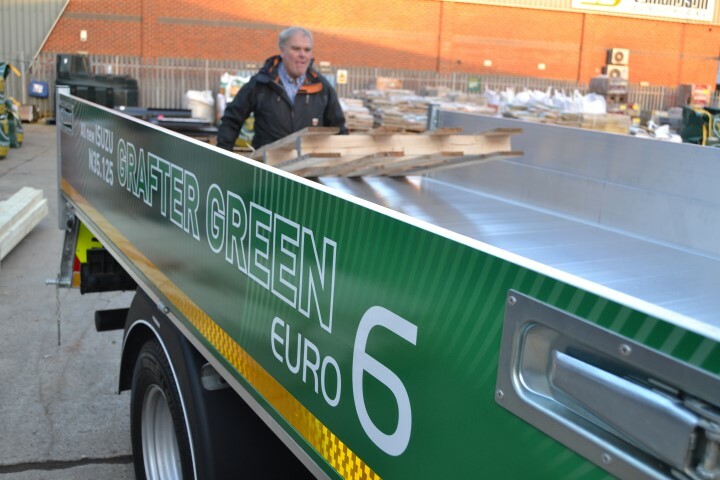 As a point of comparison, the previous Grafter N35.120 Twin Rear Wheel Tipper had a payload allowance of 1,134kg, compared to the new Grafter Green N35.125 Twin Rear Wheel Tipper, which weighs in at 1,256kg. Our test vehicle was equipped with a tow bar and spare wheel – the latter a standard feature – which reduces the payload slightly to 1,232kg. Dropsides will, of course, pack a bigger load payload than their tipping counterparts. For instance, the N35.125 single rear wheel tipper (2,490mm wheelbase) features 1,365kg of capacity whilst its dropside counterpart extends that figure to 1,510kg. For those in the business of transporting plant there’s a towing capacity of 3,500kg. Next : Norbord: What is the Way Forward for Housebuilding?